Incumbent Republican Senator Thad Cochran’s successful game plan, which drove his run-off victory over Tea Party challenger Chris McDaniel for Mississippi’s Republican Senate nomination, was unconventional. But most incredible was the success of this game plan – to reach out to liberal black churches and get Democrat black voters to turn out and vote for Cochran – despite being executed in broad daylight. Soon after Cochran lost to McDaniel in the primary, necessitating a run-off because McDaniel fell short of getting 50 percent of the vote, papers reported the intent of Cochran’s team to turn out black Democrats to overcome the thin margin by which Cochran lost. McDaniel knew exactly what to expect. The Cochran campaign told him. Yet he remained a spectator through it all. His counter strategy was no counter strategy and just continue what he was already doing. Appealing just to Mississippi’s conservative white electorate. Sitting in the White House today is the most left-wing president in the nation’s history, elected twice without winning the white vote. I have written about the demographic changes taking place in the country and the need for Republicans to talk about limited government and traditional values to non-white Americans. If this is true about the nation as a whole, it certainly is true in a state like Mississippi whose black population, at 40 percent of the state, is the largest in the nation. Half this black population is poor. Cochran’s forces dumped money into liberal black churches, communicating that he is their champion because of the government pork he’ll continue to bring into the state. But a news flash for McDaniel, which he should know, having served as a state senator, is that not all blacks are liberals. In Mississippi’s huge black population are many conservative black pastors who want freedom for their flocks. They know that black poverty is not about government money. A few of these conservative black pastors in Mississippi are part of the national pastor network of my organization, CURE. But in the latest Quality Counts report from the publication Education Week, Mississippi is rated 51st in the nation, among 50 states and Washington, DC, in K-12 student achievement. If the success of Mississippi’s schools was about “critical” funding from the federal government, why are they the worst in the nation? The main victims of Mississippi’s dismal schools are black children. 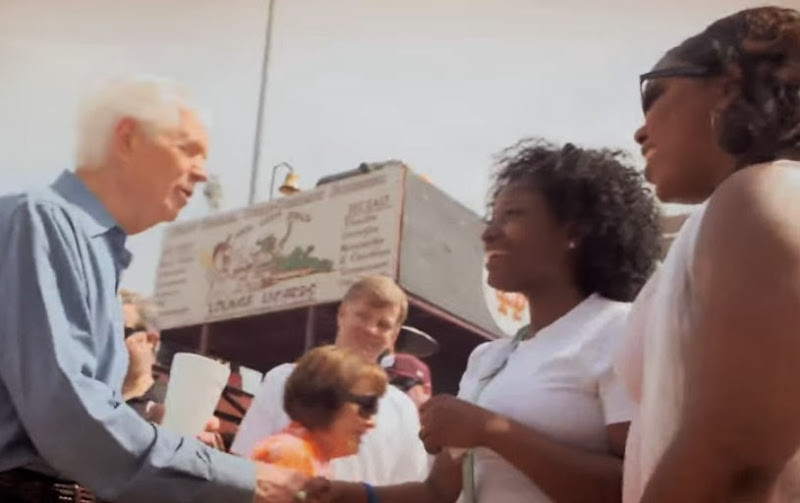 But the McDaniel campaign seemed clueless that there were potential allies in Mississippi’s huge black population to counter Cochran’s liberal assault. It is pathetic that some commentators are actually writing that Cochran’s government plantation appeal to blacks shows how Republicans can reach this community. Thad Cochran laid it out for McDaniel -- he gave him his book -- but McDaniel chose not to read it.